Moscow, August 17, Interfax - Vatican Secretary of State Cardinal Pietro Parolin is expected to meet with Patriarch Kirill of Moscow and All Russia and Russian authorities during his visit to Russia next week, Priest Igor Kovalevsky, secretary-general of the Сonference of Catholic Bishops of Russia, said. “A meeting with his Holiness Patriarch Kirill of Moscow and All Russia and Foreign Minister of the Russian Federation Sergey Lavrov is expected to take place,” Kovalevsky said at a press conference in Moscow on Thursday. 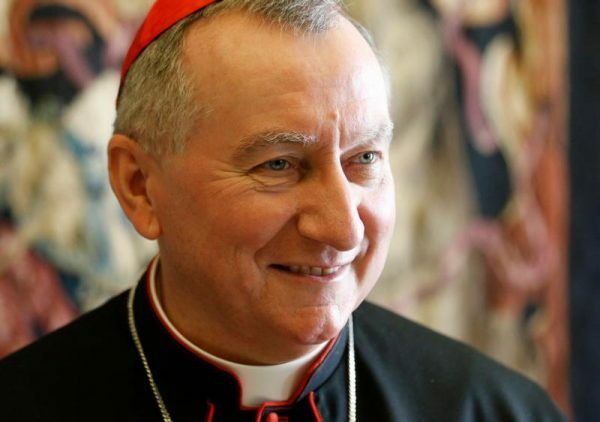 Parolin also hopes to meet with the Russian president, he said. The cardinal will also meet with members of Moscow’s Catholic community and will conduct a religious service at Moscow’s Catholic cathedral on August 21, Kovalevsky said.